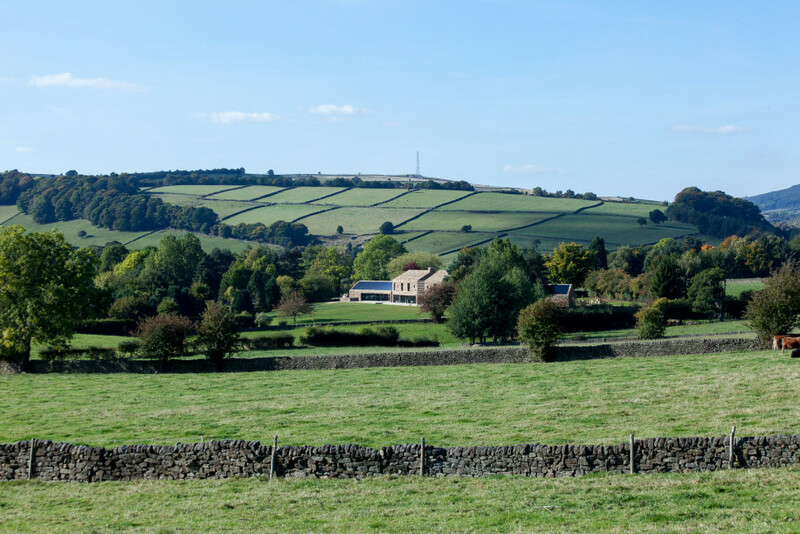 ‘With two simple moves – organising the house in linear fashion along a contour and using the same local stone for walls and roofs – Sanei Hopkins has lifted this Peak District house well above the ordinary. 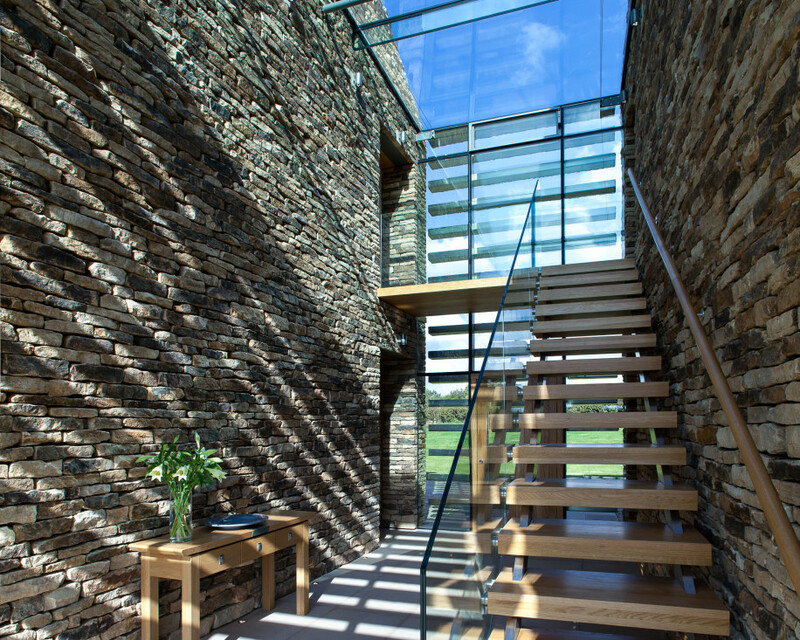 The plan, with circulation zones either side of a series of open plan spaces, frames the landscape perfectly. 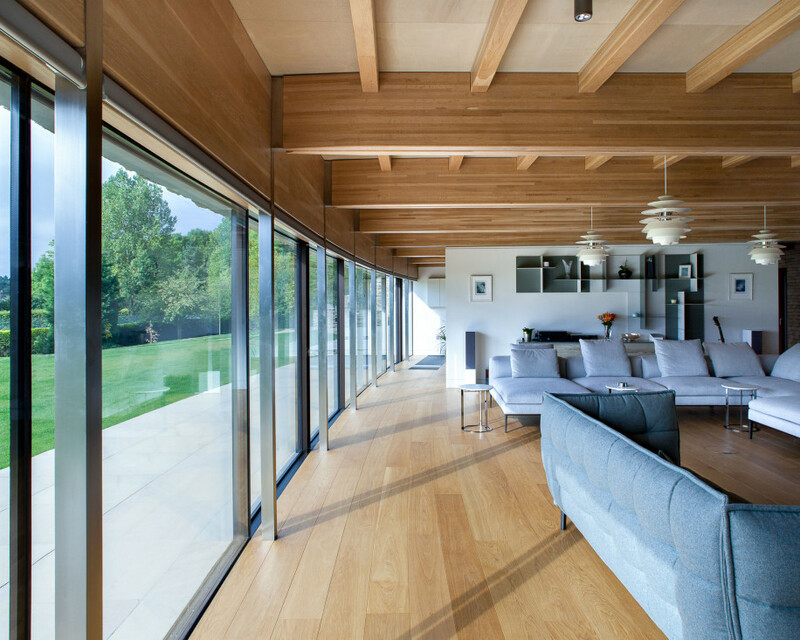 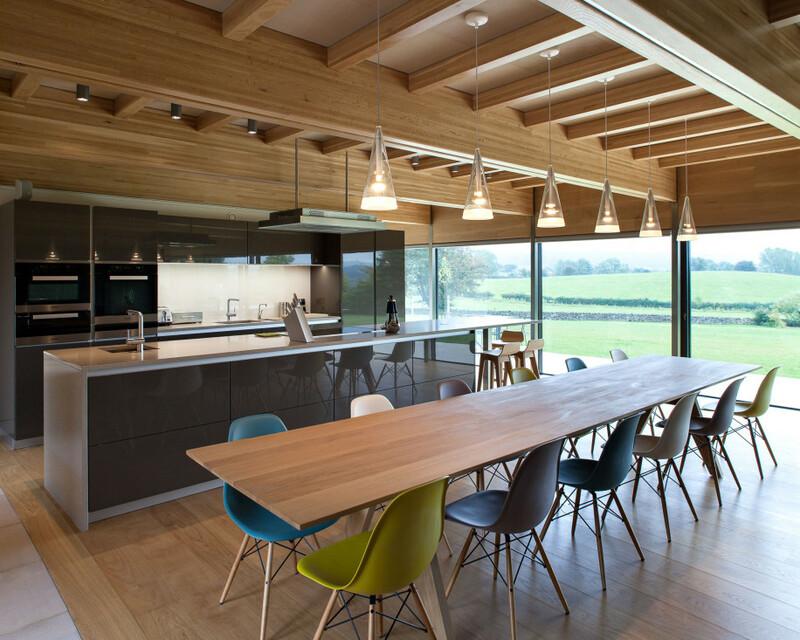 The brief was for a family home which was open, light and contemporary, using high quality traditional materials and taking maximum advantage of the views. 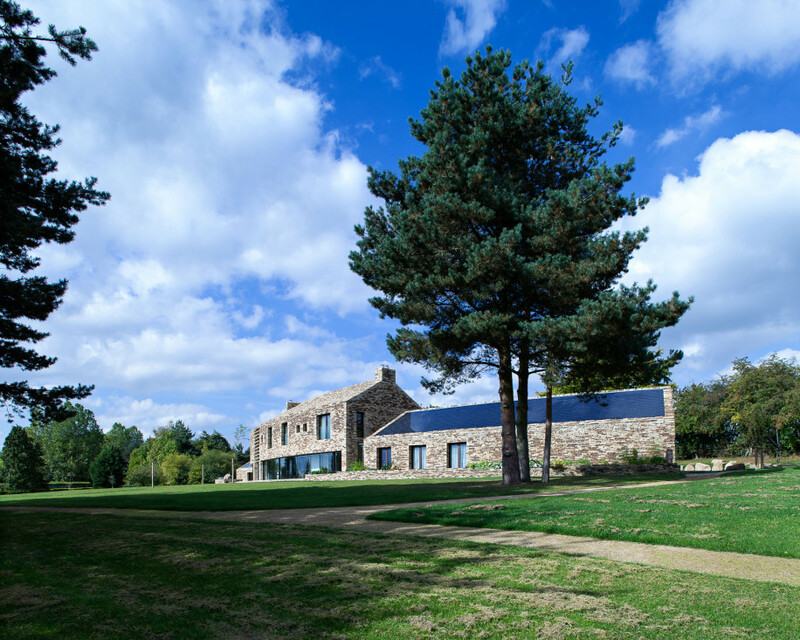 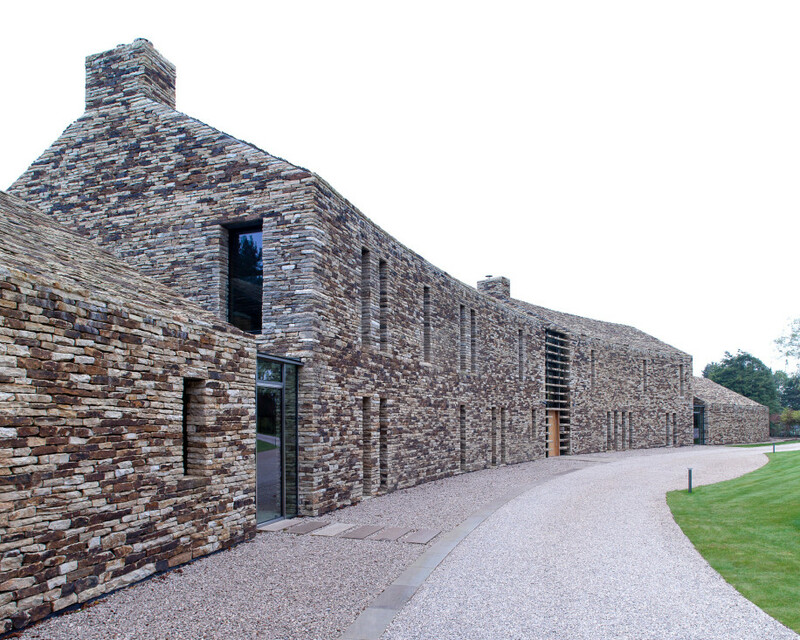 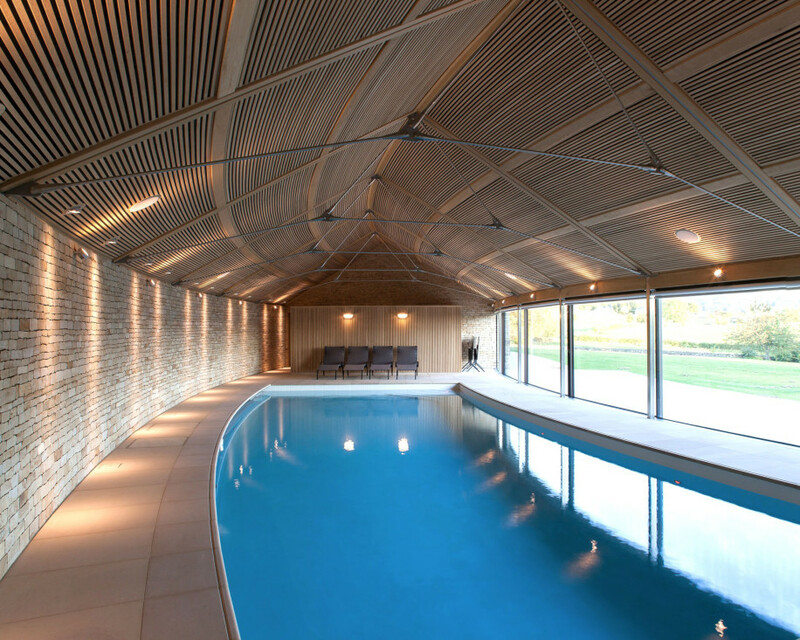 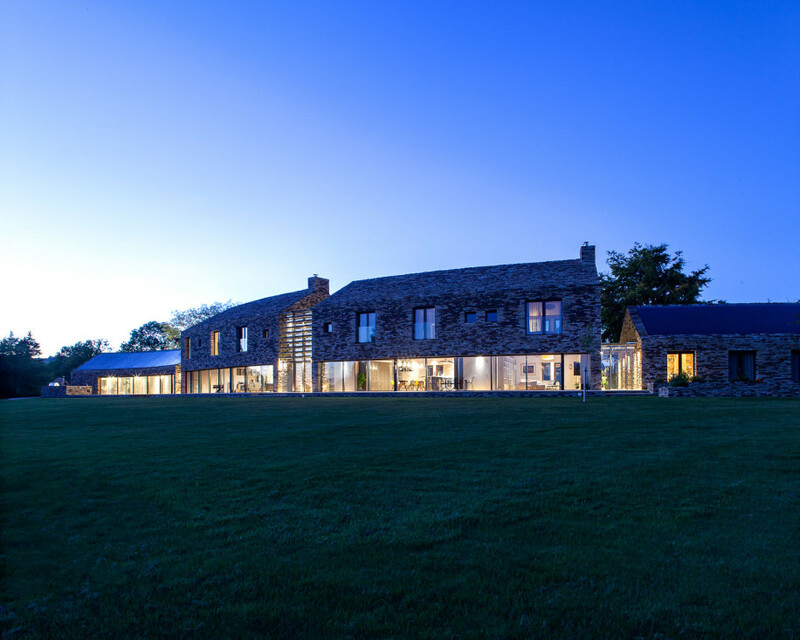 Externally the use of local stone flowing seamlessly from the walls to roof creates a subtle contemporary vernacular that sits perfectly in its setting.